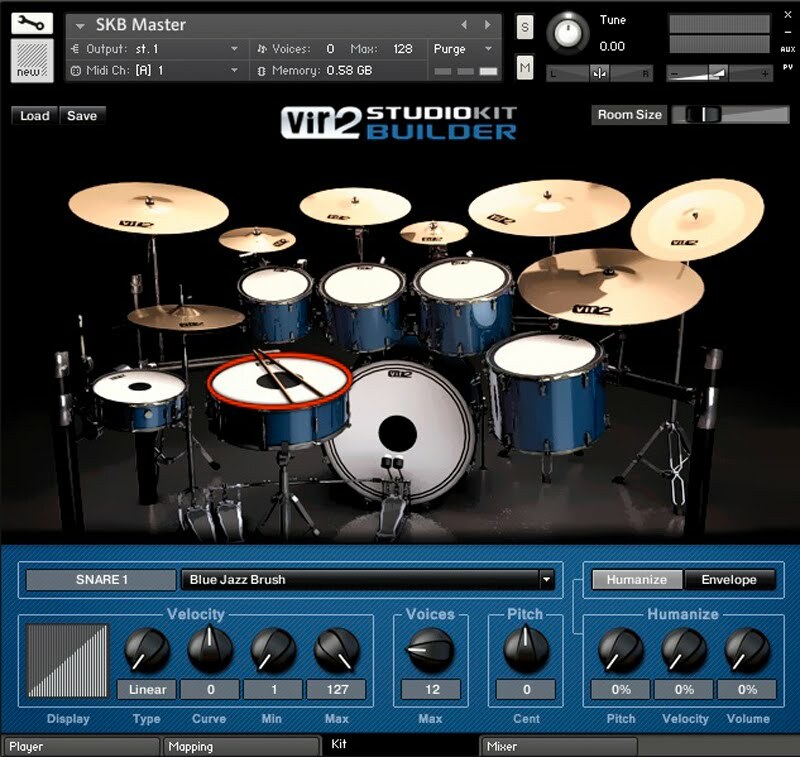 Today's muzo is positively spoiled for drums, from basic rock kits, through orchestral and electronic percussion, to world timbres and SFX. 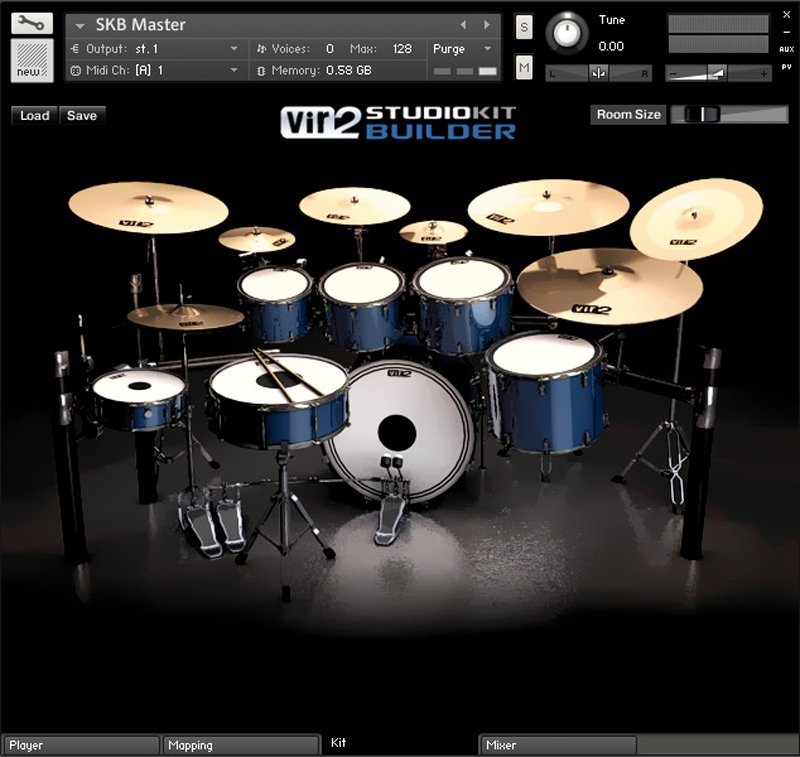 So how does Vir2 aim to apply its, thus far, left-field take on sample-based instruments to the needs of the recording musician, trigger-equipped player or both? The developer has a sterling reputation for adventurous sampleism, oft times taking traditional sounds and warping them into the bizarre. 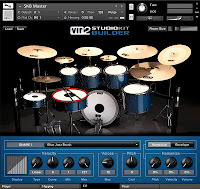 Electri6ity, for example, mangles the electric guitar into new territory with a host of treatments at sample level, further tweakable by some cunning coding for Native Instruments' Kontakt engine. For virtual violin, we've the distinctive eructations of Violence; for acoustic guitar, Fractured. It's not all strum, Drang and smack your pitch up, however. The company's Acoustic Legends HD, presenting a host of plucked and fretted instruments, has been around for a while and has picked up numerous plaudits for its realism and the control offered. So let's learn of Vir2's virtues with acoustic percussion. 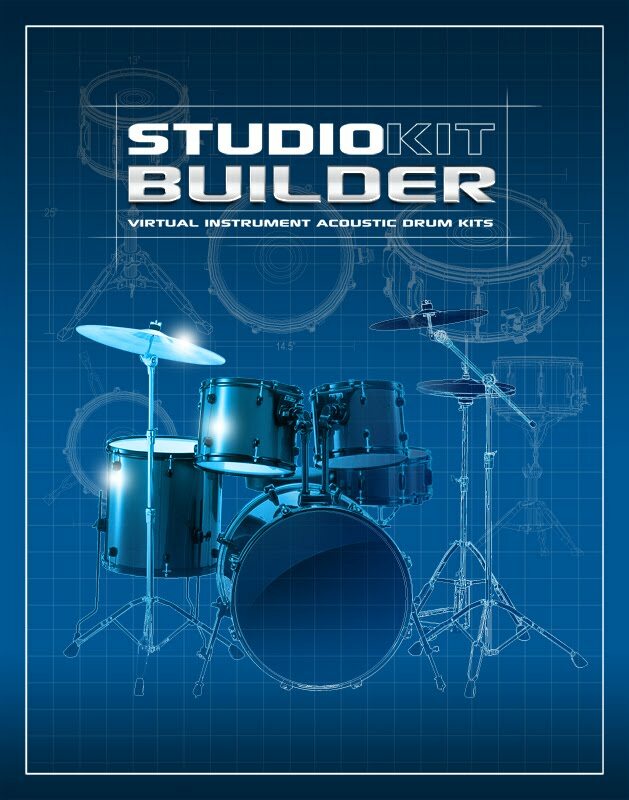 Studio Kit Builder fits into the straight-ahead timbre camp, its sample library made ready for fashioning into standard configurations that lend themselves to bread-and-butter songwriting arrangements. If you're looking for the esoteric or other-worldly, alight not at this platform. However, seekers of percussion pieces suitable for most popular, acoustic-kit friendly genres might like to hang on the communication cord awhile. 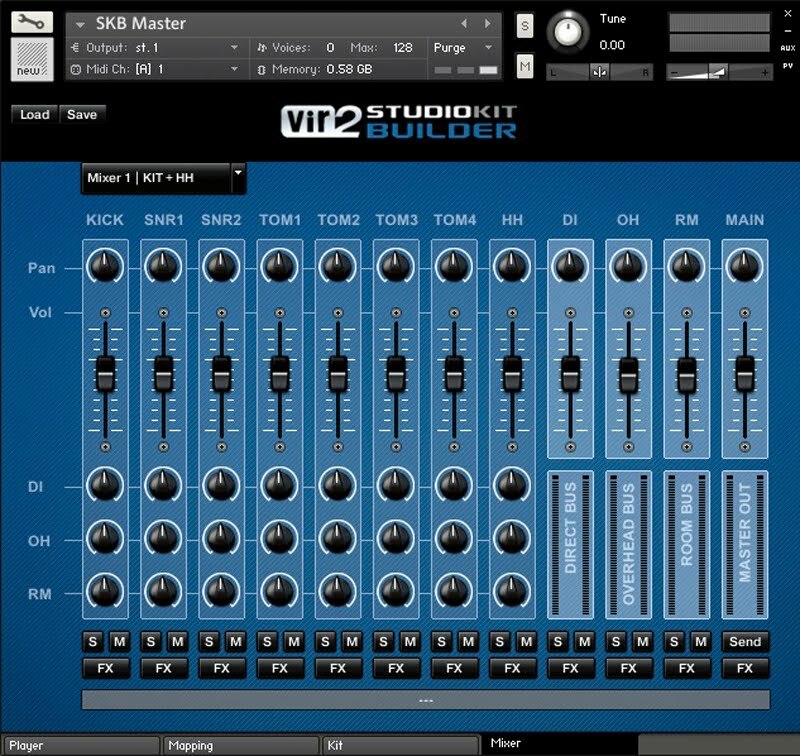 So that's VST, AU and RTAS for Windows and OS X covered. 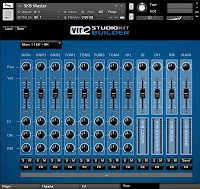 Further, mic positions can be shifted, room ambience adjusted and relative levels of kit pieces balanced via a built-in, and very clean-looking (read 'easy to use') mixer. Visual presentation is neat, with the main kit-building window presenting a traditional-looking arrangement ready to have timbres assigned. 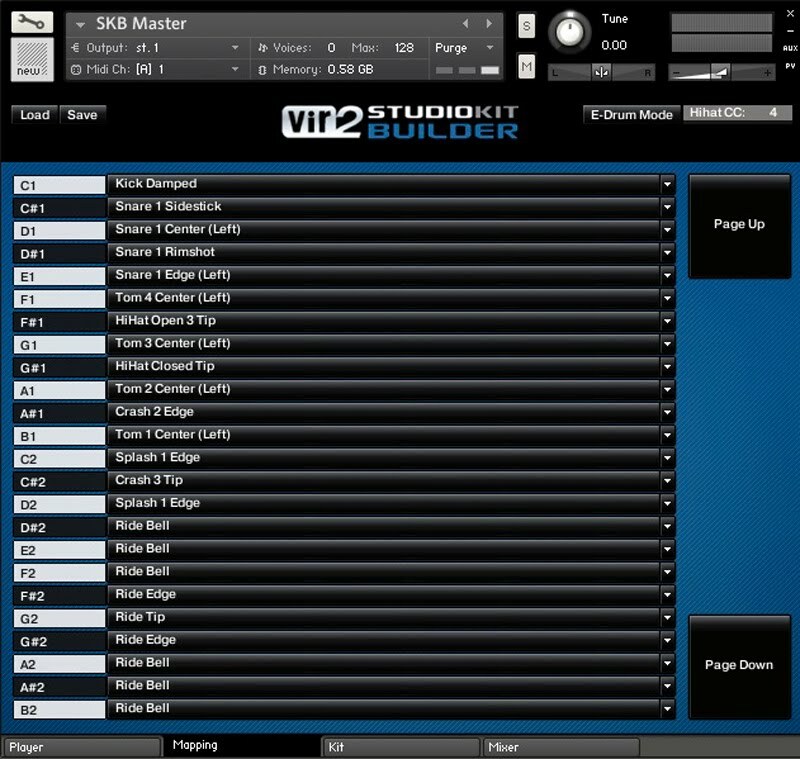 Or switch to the Mapping window and assign kit bits to ivories. Those preferring drum-machine pad assignment will be disappointed, but this is only a shortcoming of the GUI and does not materially affect sonic performance. 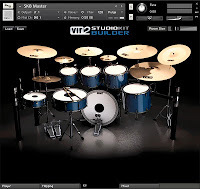 Speaking of which, Vir2 has done an excellent job of compiling the percussion library, with all essential timbres captured cleanly and with impressive body. It's usually best to begin with as full a representation of an instrument's character as possible, then tame with EQ to suit the mix. To cut is better than to boost is the maxim and SKB lends itself well to this practice. A look at the kit pieces' list reveals we've the trad-sounding hits of Sonor, Ayotte, Tama and more in the batter-head dept, while acoustic cymbals come courtesy of Sabian, Paiste and Zildjian, in the main. Top marques, and top marks for the quality of their capture. Let's take a listen, eh? It's always best to let one's ears decide, so the above should provide all the insight you need. 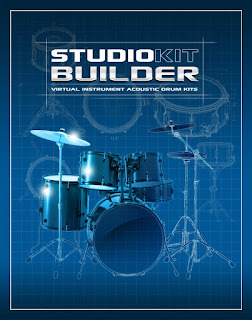 If your tastes extend to electronic, world and SFX percussion, Studio Kit Builder will leave you wanting. But then, the product's name hints of such. However, for a solid and extensive library of good-quality acoustic percussion pieces, plus a healthy helping of grooves to kick things off, SKB represents great VFM. 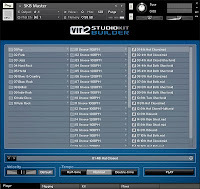 Those already tooled up with Toontrack, XLN, NI and other drum libraries may not need what Vir2 brings to the session, but if kitting yourself out from fresh, or stepping back from a collection comprising mainly electronic timbres in order to indulge a yen for brushed textures, rock beats, soul, swing… Well, pretty much any genre that calls for quality acoustic percussion can be answered with aplomb by SKB. 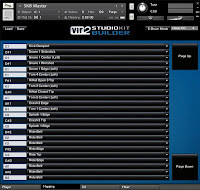 It may not be the sexiest looking Kontakt instrument on the market, but your audience won't know that. 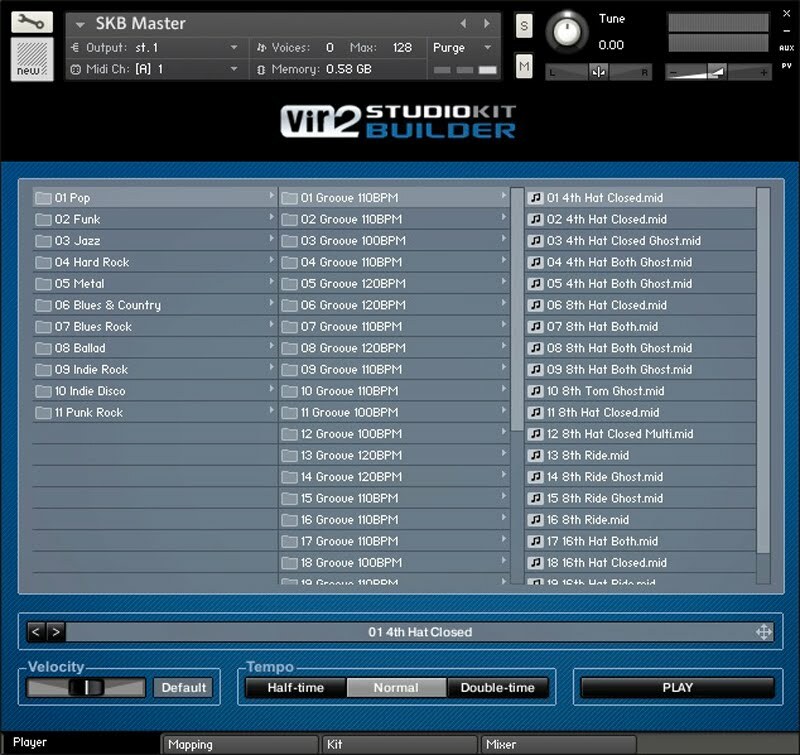 And, if your percussion-sequence composition technique is up to the mark, your listeners may not even be able to tell that they're listening to a software, not wetware, performance.